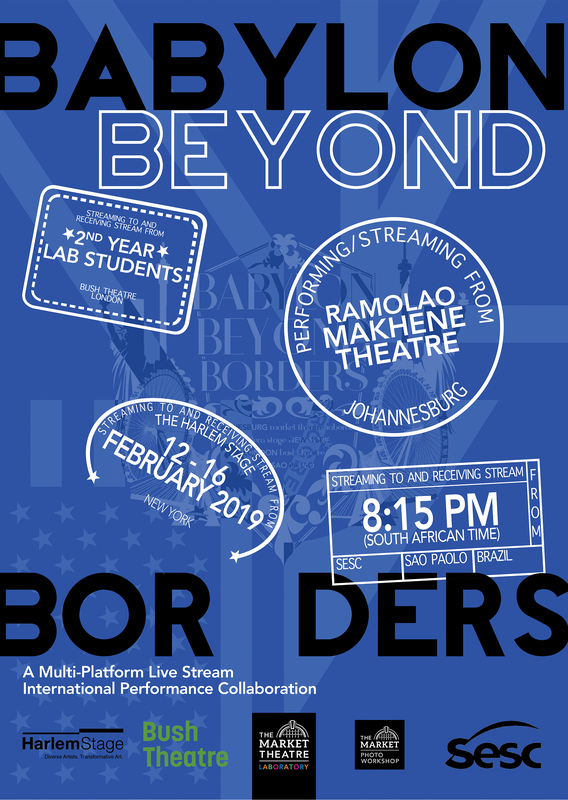 Babylon: Beyond Borders will play at the Ramolao Makhene Theatre 12 – 16 February 2019. The Market Theatre Laboratory is partnering with three international theatres in a South African theatre-making first, pushing the boundaries of how technology and live performance can work together for cross-border creativity. This collaboration, titled Babylon: Beyond Borders, will see four extraordinary theatres, each deeply rooted in its own community, explore their relationship to Babylon and its meanings, from land and exile to migration and language. The outcome is a performance that takes place simultaneously in each country and is projected via live stream to London, New York, Johannesburg and São Paolo. The participating theatres and lead artists are Ruthie Osterman at the Bush Theatre in London, a world-famous home for new plays and an internationally renowned champion of playwrights; Sarah Elizabeth Charles at the Harlem Stage in New York, an award-winning performing arts centre that features diverse local, national, and global artists in music, film, opera, theatre, dance and literature, Pedro Granato at Pequeno Ato in São Paulo, an independent theatre focusing on creating new dramaturgy and contemporary aesthetics and Mwenya B. Kabwe working with the second year students at the Market Theatre Laboratory in Johannesburg. The event will be built from the four creative centres with the artists in each location, to create a live performance for each local audience which will include simultaneous live streamed projection from the other cities. They will work with the different time zones to create a holistic event using text, movement, archival material, live stream and music and it will also be live broadcast on the internet for an online audience. This ambitious simultaneous performance event will celebrate the possibilities of experimental cross-border theatre making using technology and live performance. South African audiences are also in for a special treat, as the Market Theatre Laboratory is partnering with the Market Photo Workshop to offer a photography exhibition exploring the same themes in conjunction with the live performance.